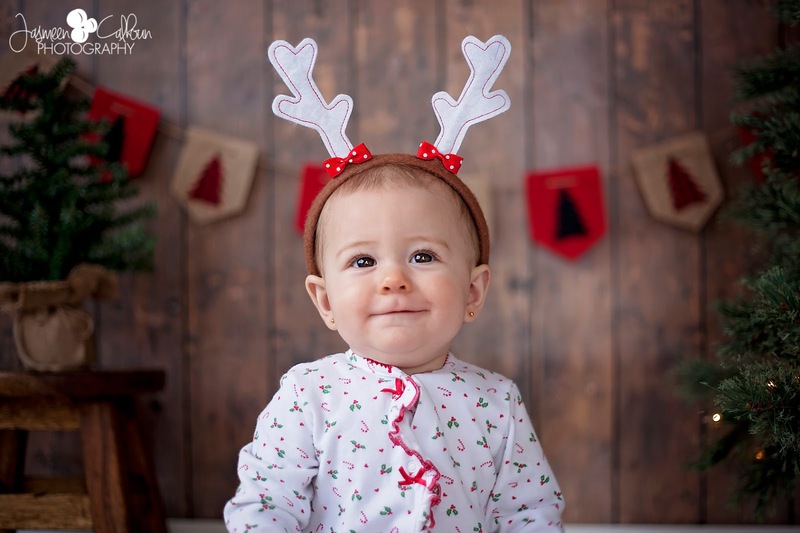 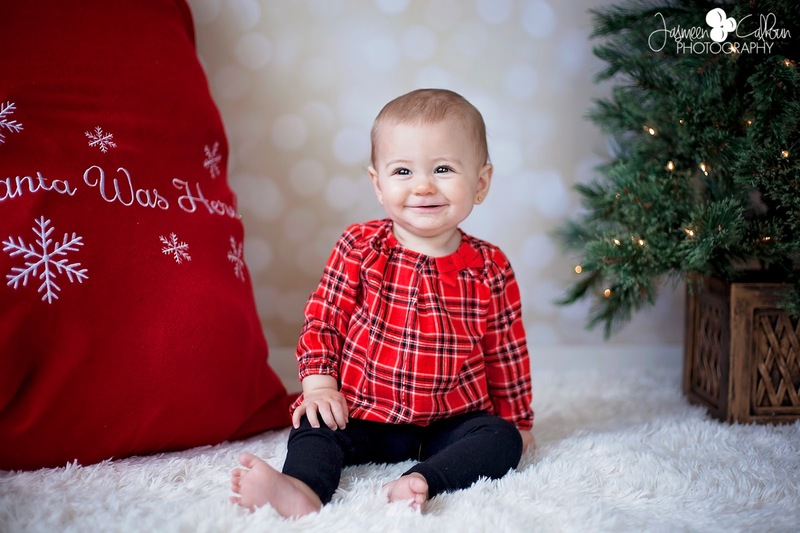 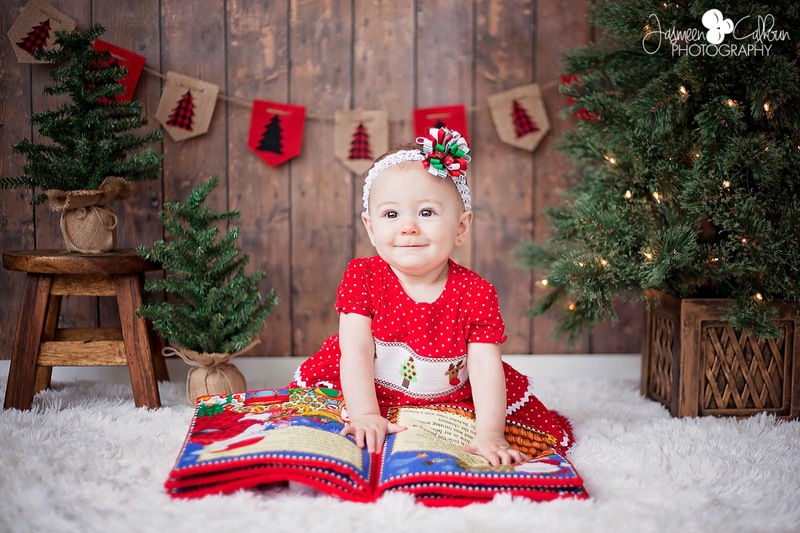 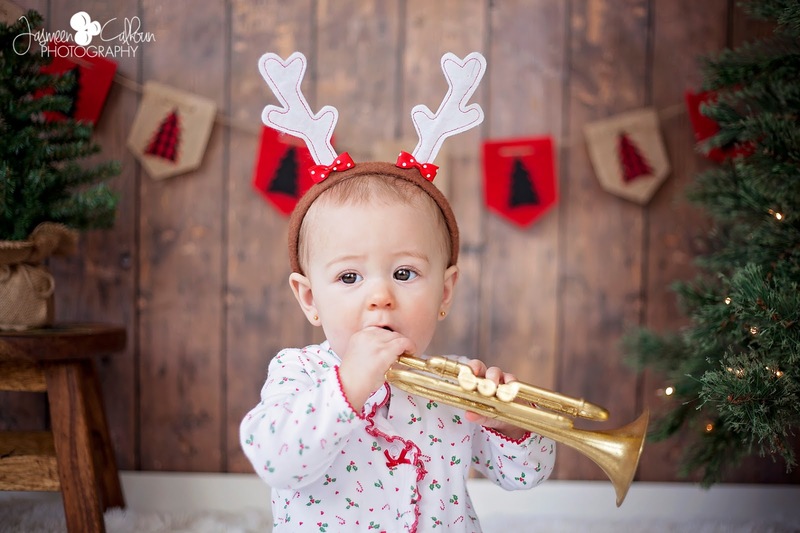 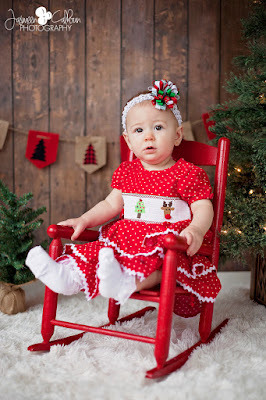 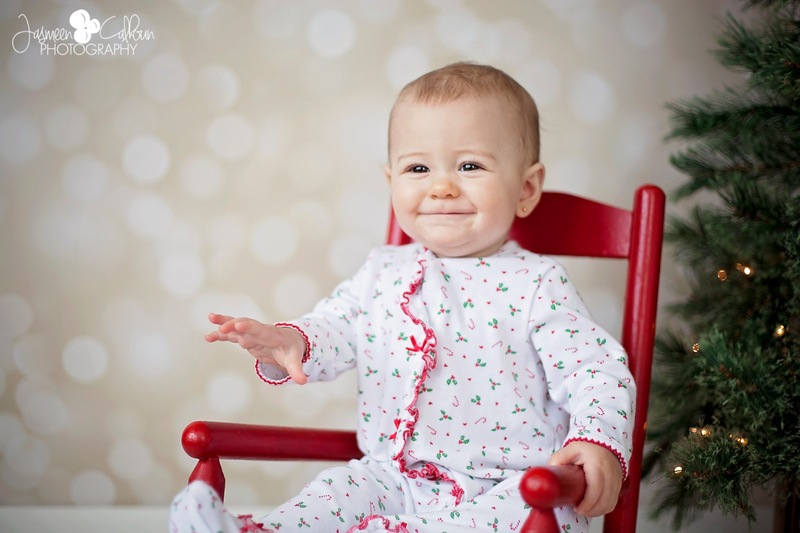 We planned Ava Rose's 9 month pictures a little early, mid-December, just so we could do a Christmas theme. 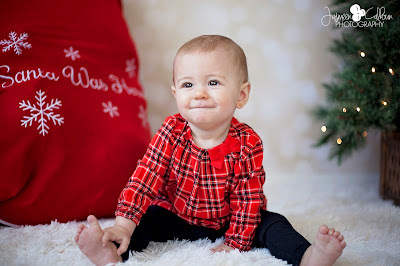 I'm not including any family shots of us because R had surgery planned last minute the week of the shoot and, even though he is in them, he wasn't physically able to smile. Miss Rose was a fuss bucket for most of the morning so between the two of them I was willing to take any photos that didn't include a major meltdown. I'm thankful for the memory though, she was beautiful in her Christmas dress! 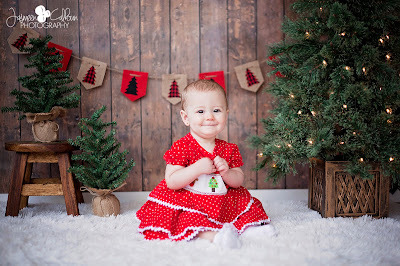 Oh my goodness she is precious! Beautiful pictures!